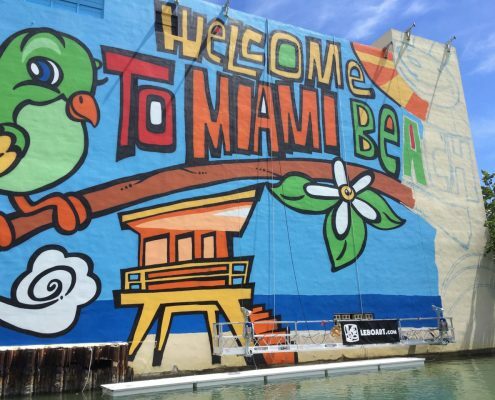 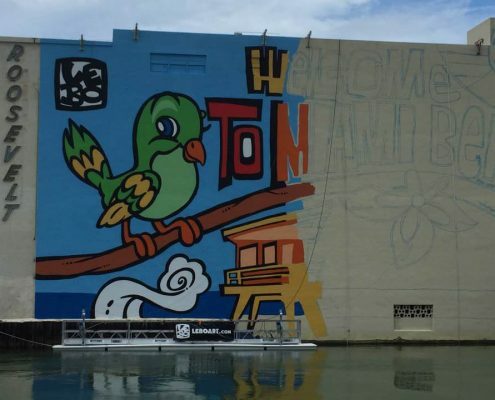 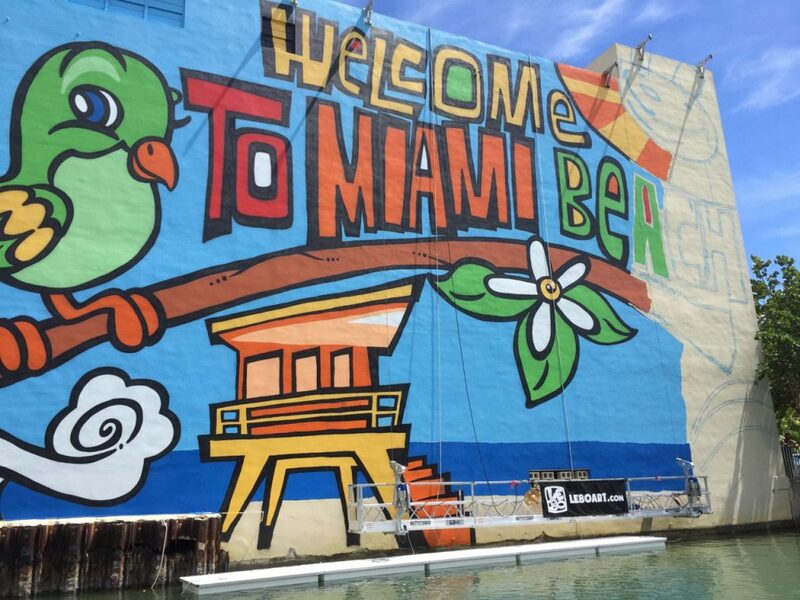 Lebo completes the largest art mural approved by the city of Miami Beach at the historic Roosevelt Theatre. 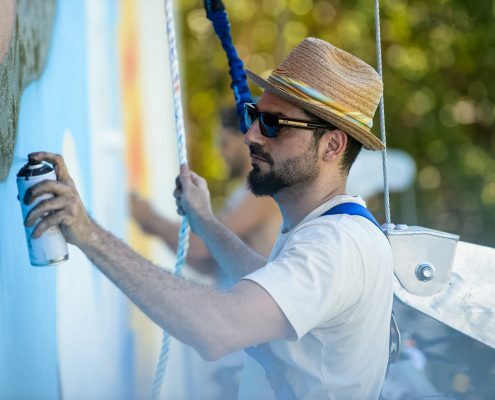 The ‘Welcome To Miami Beach’ mural will serve as a welcoming landmark to locals, tourists, and art enthusiasts from around the globe. 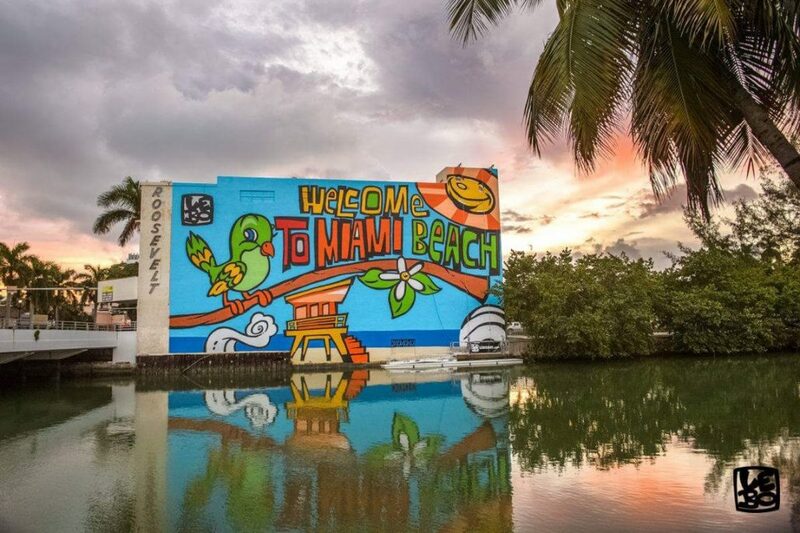 Lebo is one of Miami Beach’s best-known street artists, so it’s fitting that his work now greets travelers to the city. 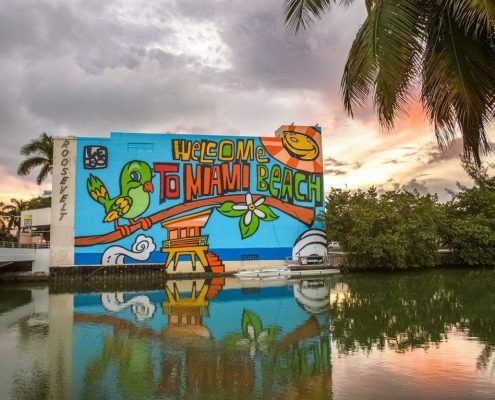 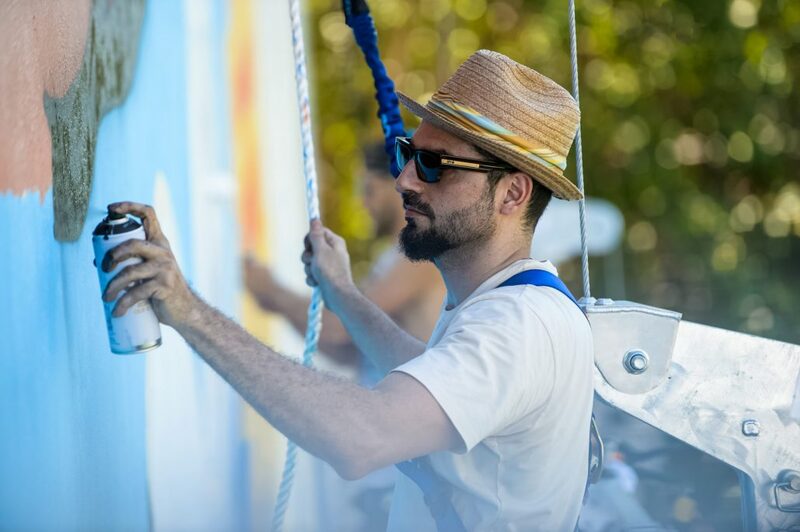 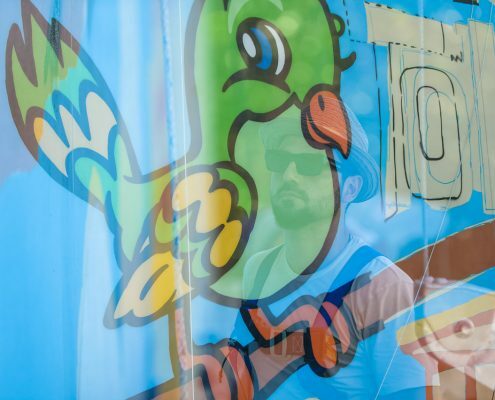 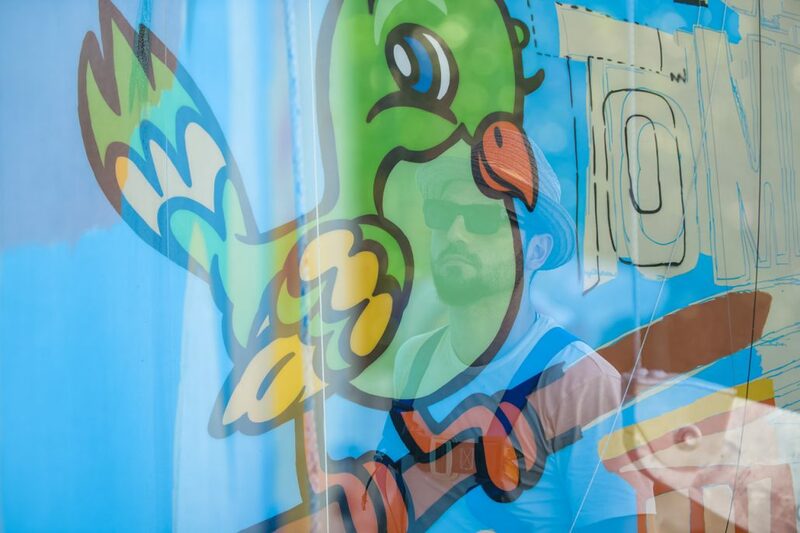 Miami based international artist David “Lebo” Le Batard completes the largest art mural approved by the city of Miami Beach at the historic Roosevelt Theatre.